Students must have attained a minimum of an Associates Degree, 90 semester credit hours or Bachelors Degree (including completion of all the prerequisite coursework) from an accredited institution in order to be considered for admission directly into the Bachelor of Science in Nursing Program. To be completed prior to beginning the Bachelor of Science in Nursing Program if an applicant did not previously complete these courses within four to five years before applying to the Bachelor of Science in Nursing Program. Once all the admission requirements including pre-requisite and or re-introduction courses have been fulfilled, the Bachelor of Science in Nursing Program consists of Trimester one through Trimester Four. After completion of all four trimesters, the student is awarded the Degree Bachelor of Science in Nursing. Students who have maintained a 3.0 GPA in Trimester One through Trimester Four of the Bachelor of Science in Nursing Program and plan to earn a Master of Science in Nursing (MSN) Degree, can take up to eight courses from the MSN (Clinical Nurse Educator) Program before formally being accepted into the MSN Program. St. Mary’s School of Medicine does accept transfer students. The coursework that will be accepted for transfer credit will be accepted and will be evaluated on an individual basis. All coursework completed with a GPA 3.0 or better from the MSN Program (Clinical Nurse Educator) at St. Mary’s School of Medicine prior to formally enrolling into MSN Program (Clinical Nurse Educator) will be eligible for full transfer credit. Examinations will be given in each nursing course throughout the trimester. Final exams are given at the end of each trimester and all the final examinations are comprehensive. The smaller examinations, quizzes, presentations etc. in a course will be at the discretion of the instructor. 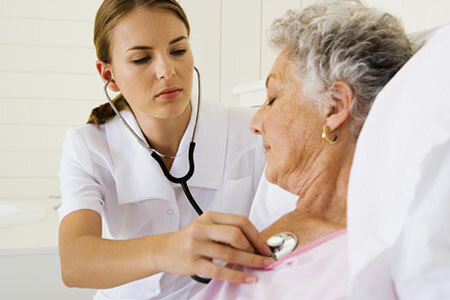 A score of 75% higher is required to pass examinations in the nursing courses. Note: ST. MARY’S SCHOOL OF MEDICINE reserves the right to make any changes to the CURRICULUM indicated above at anytime. All changes will be applicable to all students.